Though the DCEU is doing its best (as are we all) to move on from last year's Justice League, with Aquaman next on the franchise's schedule, everyone just keeps on getting drawn back to that old chestnut: Henry Cavill's CGI'd upper-lip. Talk of reshoots (and there were plenty) abounded once Joss Whedon entered the project at Warner Bros.' behest, but the small matter of Superman actor Henry Cavill's commitments to Paramount's Mission Impossible: Fallout proved to be an issue. Not that he couldn't return to do the shoots themselves - of course not - but because he was contractually obliged by the studio to retain his facial hair while shooting progressed. The solution, as is the case for almost everything these days, was to topically apply CGI to the actor's face during reshoots, which resulted in some particularly unfortunate visuals wherein Cavill's face had contracted in all kinds of unnatural ways. In the ensuing months, fans have queried just why Paramount didn't allow the actor to shave. 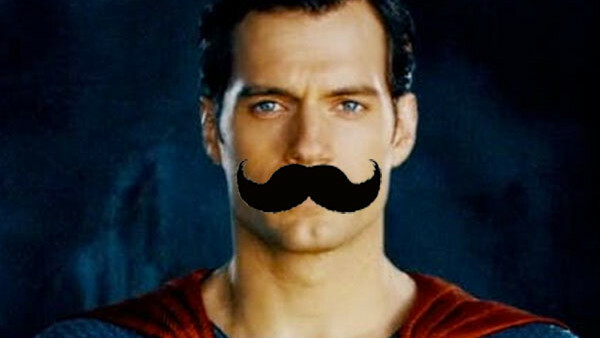 The answer, it turns out, is perfectly reasonable, with Cavill stating in an interview with Empire Magazine (transcribed by the folks at ComicBookMovie), that "to have a fake moustache on would not have been a possibility." "I was slightly surprised. When we decided to go for the moustache, I certainly wasn't expecting all the events to unfold as they were going to unfold. I wasn't expecting Justice League reshoots to be as extensive as they were. When it came to that, it was one of those things where I'm in the middle of another movie, and to change my look for a movie that should have finished already becomes a real problem. And as you will see when the movie comes out, to have a fake moustache on would not have been a possibility. You'll think, 'Okay, yeah, a fake moustache would perhaps have been blown off in this situation.' 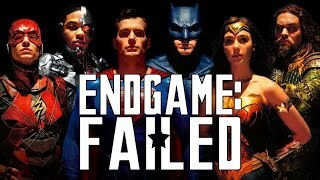 Unfortunately, it led to much dismay when Justice League came out, but that's the nature of these things. You can't win every time." Mission Impossible has only gone from one extreme to the next since Ghost Protocol came along, and Fallout (as you can probably judge from the trailers thus far) is set to continue that trend. It's very practical, and with the helicopter chase set to be a key highlight, it's easy to see how a fake 'tache could've otherwise jeopardised a serious action set-piece. In any case, expect to see Cavill return for the long gestating Man of Steel sequel (which is supposedly aiming for a 2020 release). Mission Impossible director Christopher McQuarrie has even optioned himself to direct, and with Mission Impossible only getting better and better, DC would be wise to take him up on the offer. What do you think of Justice League's 'tache debacle? Be sure to let us know in the comments below!